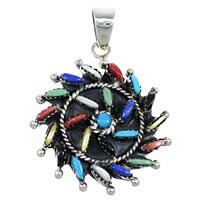 Our multicolor pendants are among the most popular items in SilverTribe's massive selection of Native American pendants. 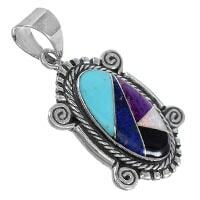 What is it about our multicolor pendants that make them so popular? 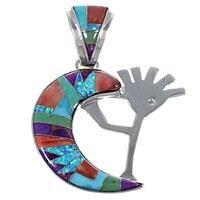 The skill and technique used is a hallmark of the Southwest. 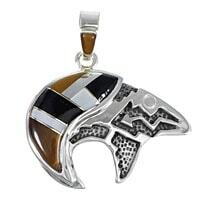 Only the most talented artists have what it takes to meticulously carve and place various stones into sterling silver settings. 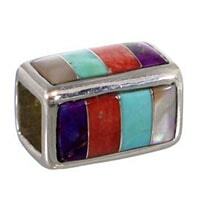 Our examples will amaze jewelry enthusiasts of the most demanding tastes. 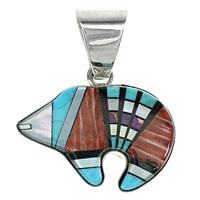 It takes a combination of patience and talent to create beautiful multicolor pendants. 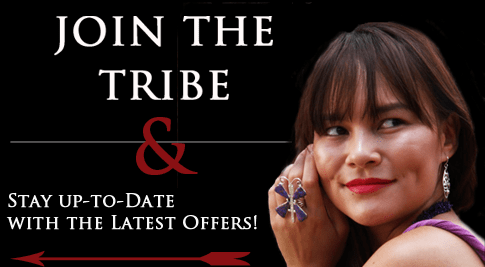 Our collection represents nearly every tribe in the region and highlights the immense depth and complexity of stone carving, cutting and polishing. 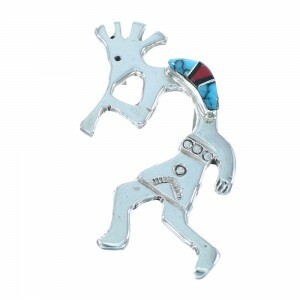 Our artists are the most skilled in the business and create the perfect centerpiece for any necklace or bracelet. 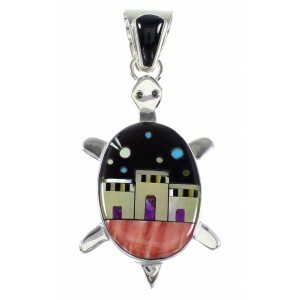 For instance, the Pueblo village designs feature miniature mosaics made using a variety of stones carved perfectly to create a nighttime landscape complete with buildings and a nighttime sky packed with stars. 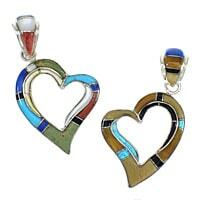 The colors you'll find in our multicolor pendants are a direct reflection of the rugged and beautiful Southwestern landscape. 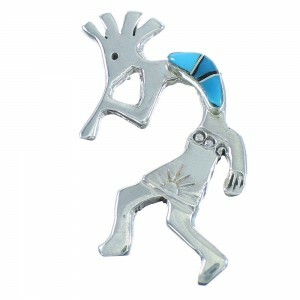 You'll find representations of canyons, animals and sprawling sunsets. 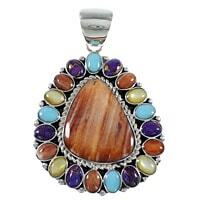 You'll find all your favorite gemstones combined to make a single multicolor pendant that is sure to turn the heads of envious friends and family members. 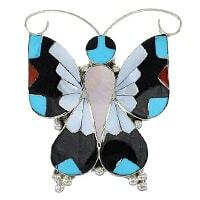 Our pieces are perfect for any occasion, casual or formal. 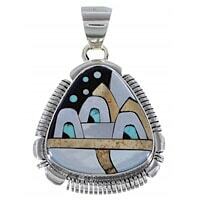 We also offer the best prices around on our huge selection of multicolor pendants. 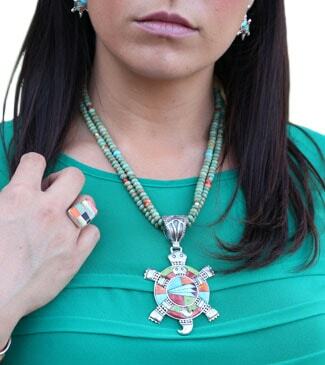 You'll find products with a traditional American Indian flair as well as bold, edgy designs that highlight the creativity of today's artists. 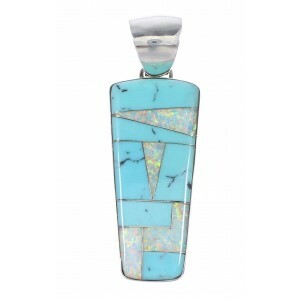 Our inventory of multicolor pendants is always growing and we strive to keep up with immense demand for these unbelievable works of art.